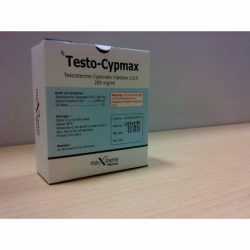 Testo-Prop-1 (Testosterone Propionate) is used in hormone replacement therapy, anti-aging and in treatment of muscular catabolism. 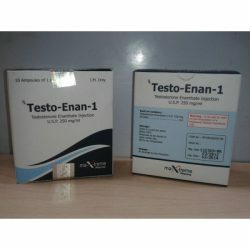 This particular version of Testosterone has a short ester, which allows for the hormone to work with a quick, fast acting effect. It also creates very little water retention as a result, depending on the dosage administered. 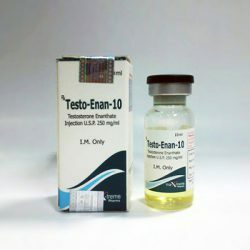 The gains in muscle mass and strength may not be as large in comparison to longer esters of Testosterone, however the gains will be leaner than that of a typical long ester Testosterone. 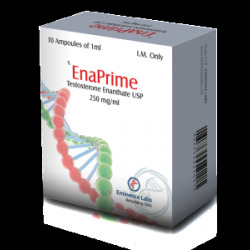 Unlike the long ester Testosterones, Testosterone Propionate doesn’t aromatase not nearly as much, which is basically when androgens convert into estrogens (the undesired female hormone), otherwise known as estrogen synthetase. 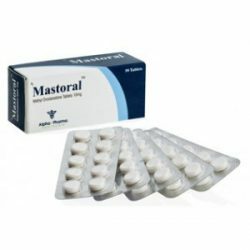 This is an esterified form of the base steroid steroid testosterone, much like enanthate, cypionate and sustanon 250. It’s a superlipophillic, oil-based injectable that slows the release of the steroid into the blood stream. But compared to enanthate and cypionate, propionate is a very short ester and is still released quite fast. As such more frequent injections are needed. Levels will peak after 24-36 hours and begin tapering from there on out, making the longest possible time-span between injections, at least or proper results, about 3 days. Most athletes will opt to inject 50-100 mg every day to every other day. It’s not the most user-friendly steroid of them all. Frequent injections can be painful to begin with, to a point where users will begin scouting for different locations to stick the needle, in order to not aggravate the same spots all the time. To make matters worse, its not that pleasant to inject either. The injection-site can become irritated and swell, and sometimes give incredible itches or soreness when touched. All these factors combined, you can see that this is the best form of testosterone to start off on for most beginners. And still. As discussed with enanthate and cypionate, a long-acting ester requires some skill with ancillary drugs and familiarity with post-cycle protocol since simple discontinuation will not put a halt to all problems. In that aspect, for those who do not master ancillaries and post-cycle therapy, propionate is perhaps a better product to start off with. 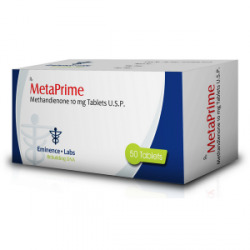 Levels of androgens and estrogens will drop within 2-4 days of discontinuation, effectively halting or reducing any occurring side-effects. 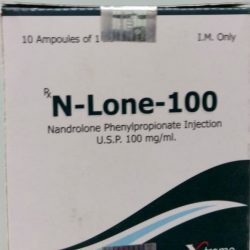 Nonetheless, this is a testosterone with a high risk of side-effects (the characteristics of testosterone do not change despite the ester, which is just a carrier) so the use of Nolvadex/proviron/Arimidex and so forth is highly advised if you plan to see a cycle through. 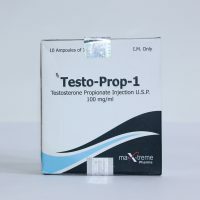 Testo-Prop-1 is Maxtreme version of Testosterone Propionate. 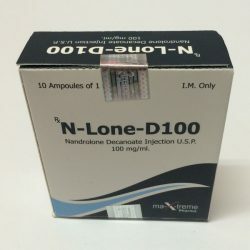 It is the fastest testosterone ester on the market and is especially used in muscle definition cycles because doesn’t retain water. 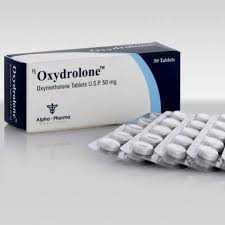 Being a short ester, its life is also short, remaining active in the body for 2-3 days. This also means that to have maximum benefits of its use, we should inject Testo-Prop-1 at every two days. 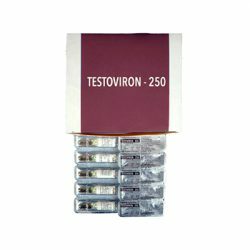 Testo-Prop-1 is a powerful steroid which offers rapid results. With the right diet and exercises we will rapidly notice gains in size and strength. 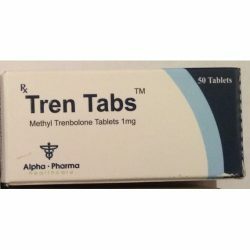 Like any other steroids, Testosterone Propionate comes with typical side effects especially if is used in high dosages. Recommended dosage: 50 to 100 mg every day or from two in two days. 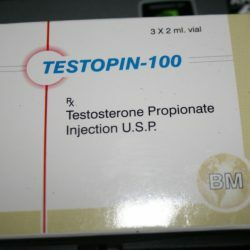 Testo-Prop-1 has a concentration of Testosterone Propionate of 100mg per 1ml. You can get rapid effect in workouts after buying Testo-Prop-1 by credit card or via Paypal. 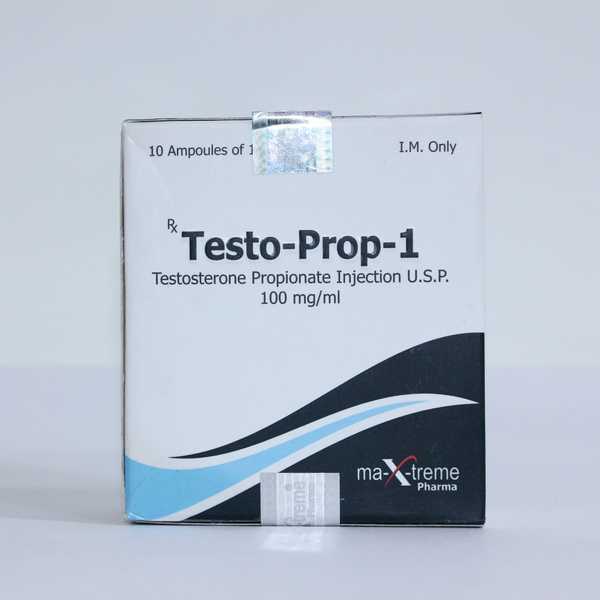 Enjoy buying Testo-Prop-1 from our steroid store. We are looking forward to make you our loyal customer.